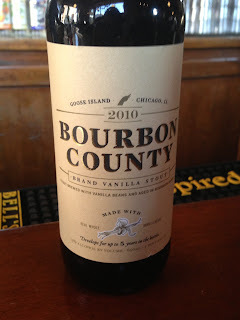 On the heels of trying Goose Island Bourbon County Rare, I was treated to a snifter of the 2010 BCS Vanilla. There's no overstating the importance of having great friends, and a great friend is any friend willing to spring for a bottle of BCS Vanilla. At least the $40 price tag for BCS Vanilla was far more manageable than the Rare's ungodly sticker price. We all knew for sure we wouldn't hate the Vanilla. The question was whether we could fairly rate it, so closely on the heels of the Rare experience, a beer that leaves almost any other one feeling inferior. Plus, there had been street chatter about the Vanilla's lack of actual vanilla flavor upon minimal aging. Rumor was that if you sit on it for a year you could kiss that sweet vanilla taste goodbye. While this concern seemed exaggerated, it at least had some teeth in our situation since our bottle was pushing on 3 years. We awaited our pours with great anticipation and some doubt. This may sound surprising, but I preferred many aspects of the Vanilla to the Rare. Thanks to my pal Brian and his iPhone for the photos. Like the Rare, the Vanilla is oily black although maybe a touch lighter. 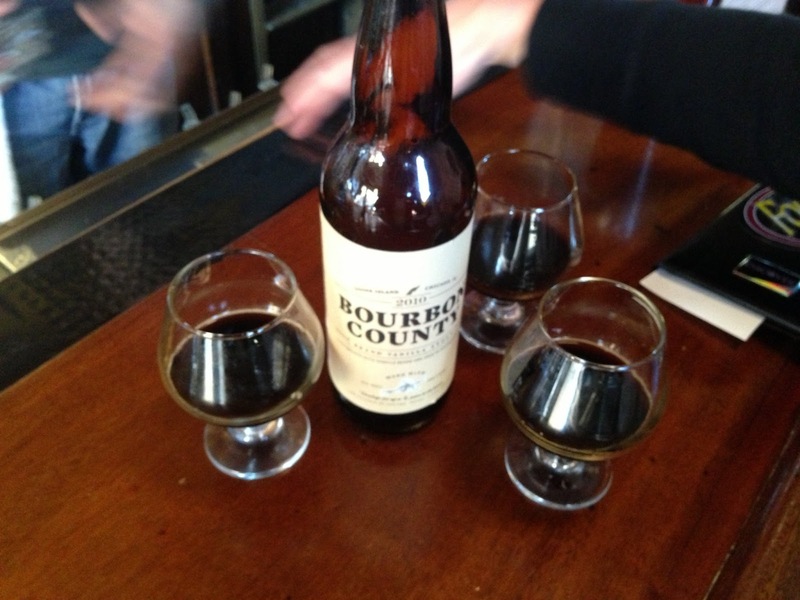 The base beer, of course, is bourbon barreled and "naturally" brings the oak's vanilla flavor to the game anyway. Goose's added vanilla basically makes this a vanilla beer 'roided up on performance enhancing vanilla. Its nose will hardly surprise you - vanilla! - and you can also smell a healthy amount of sweet, warm bourbon. The mouthfeel is sleek but not nearly as soft and feathery as the Rare. That's the main area where the Rare owns the Vanilla: the former has a uniquely, insanely supple and elegant texture. The Vanilla's carbonation is more pronounced. It immediately tingles the palate with each half-sip. This tingly beer is also a bit hotter with alcohol than the Rare, painting the palate with more warmth and a sharper bourbon flavor. This is where I actually preferred the Vanilla, since I thought the extra heat gave it a nice bit of aggression. Bourbon and vanilla blend seamlessly in harmony. Flavors such as blueberry and dark cherry dip in and out. Early on, it finishes a bit like vanilla ice cream with some heat; but the warmer final-few sips taste more of candied bourbon. Pretty remarkable. Here's the verdict. The Rare is a more singular experience because of the amazing effects they achieved with the textures, the control of the heat, and the flavors. 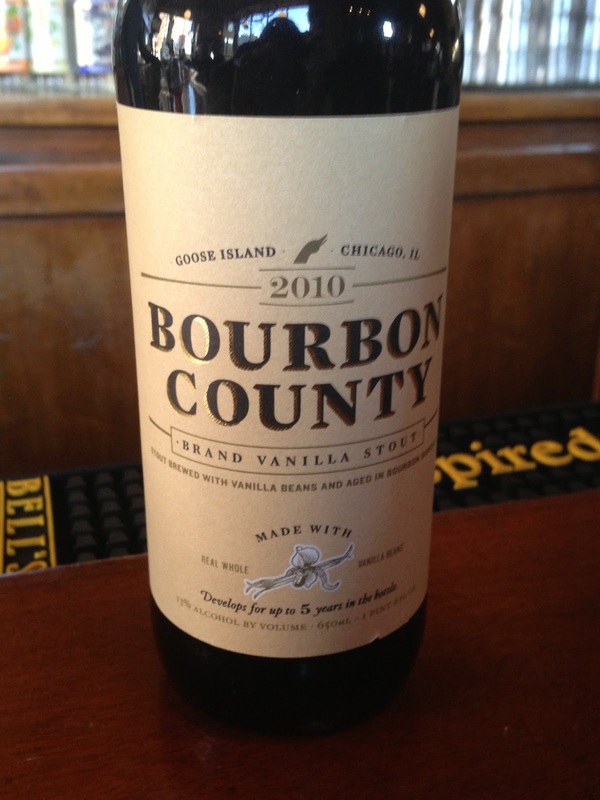 The Vanilla is less liqueur-like and more beer-like, thanks to its less-intense sweetness and that bit of bourbon heat. In Vanilla's wake, my pal Travis observed that, "This will ruin you against all future vanilla stouts." It's clearly the new standard. Unfortunately, at its price it sure won't be the new normal.